Movie roles can be demanding and require some sacrifices. Millie Bobby Brown made such sacrifices, but she is now enjoying the rewards. Millie is a talented actress that has won the hearts of many people and they follow her diligently on the social media. So she posted on her handle that shaving off her hair in order to fit in perfectly into her role as ‘Eleven’, an enchanting teenager in the blockbuster ‘Stranger Things’ is fulfilling for her. She added that beauty should not be measured by how full or small your hair is packed on your head. Millie Brown was invited to act the breakthrough character in “Stranger Things,” and the main requirement for her part was to lose her beautiful sleek strands of hair. However, as many would have expected her to feel bad about it, she didn’t seem to be bothered. As a matter of fact, she was elated to do it. 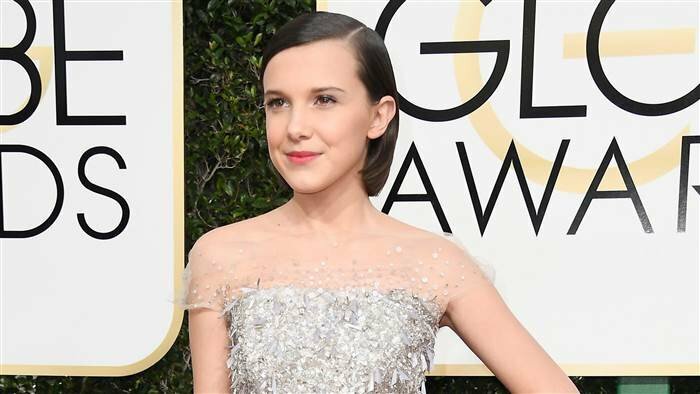 Millie is now a household celebrity in the tabloids of so many entertainment fans, and her fanbase keeps growing every day. Her fans were ready to feast on any of her posts so when she tweeted that giving up her hair to play the teenage role was ’empowering and fulfilling’ for her and she wouldn’t mind doing it over again; they supported her. She poured out her heart on the post which was put up on the 14th of January. She defined the moment her tress was scrapped as the most empowering time she had ever experienced. When all the strands fell off her head, and her entire facial appearance came to view, she knew a new huge task was ahead of her. Millie believed that someone does not need to have locks of hair before looking attractive. Her eyes were opened to the possibility of being beautiful, regardless of whether she has hair or not. The 13-year-old was excited to share the footage of her shaved head when the backstage preparations for the movie were in progress. However, her hair had grown in Season 2 of the captivating movie, but her shaved head in Season 1 still has significant effects on her fans who see her as an inspiration. Her tweets motivated her ever-ready fans who jumped on the tweet as they saw it as an opportunity for them to also share their personal experiences on when they had to shave their heads. They accompanied their stories with pictures of the precious moments. A user by the name Knights of Ben posted that her daughter who is just seven years old once desired to be cast as Eleven in Halloween drama. She asked the little girl what would happen to her hair if she was permitted to play ‘Eleven,’ and she replied without hesitation that she would cut it off. 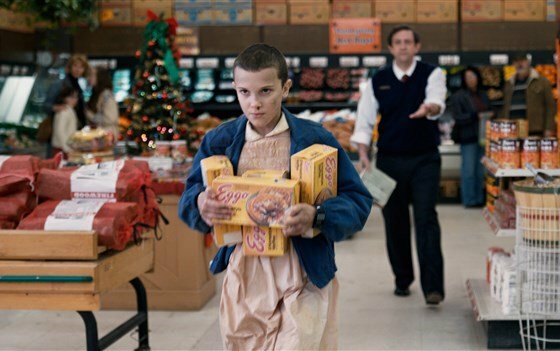 Knights of Ben narrated that they had to shave it and Millie Brown is now her daughter’s screen idol because she so much adored the movie ‘Stranger Things,’ especially the ‘Eleven’ role Millie played. Another fan with the handle Id @angeladifranco7 also shared her picture with her shorn scalp on the 15th January. Angela described the moment as ‘the most dandy time” of her life. She was feeling so ecstatic. Buckley Cristie with a twitter handle @BenWasHere_Inc narrated how he had tested positive for cancer over a decade and a half ago. He lost every strand and lock on his head in large blobs. He was relieved, free and empowered more than ever after cutting off all the remaining strands. He took absolute charge of his life, and he appreciated Millie Brown for going bald without being ashamed of herself. She is still beautiful even with the bare scalp. Apart from her act as a teenager in the movie ‘Strange Things’ with the shaved hair, Millie Brown has also been regarded as a fountain of motivation to many people. In 2017, she exposed her secret to the public that she is hearing impaired in one of her ears. However, she didn’t allow her disability to stand in her way of going after her ambitions in the acting and music career.